Life changing trips guided by passionate outdoor educators; our diverse programs blend the legendary land and culture of Baja with the striking marine diversity of the Sea of Cortez. In 1995 we launched our first multi-sport program for university students of the 'School for Field Studies'. Since that long and distant past, we have grown and gained momentum and now deliver several educational programs each and every season to various schools and universities from all over North America. Our programs are based around what we do best: sea-kayaking, camping, hiking and snorkeling in the stunning Sea of Cortez. Further, diversity could include terrestrial activities on the Baja mainland. Discovering the foot hills of the Sierra de la Laguna and its hidden oasis provide intriguing areas for investigation and adventure. Likewise, the Pacific Coast and the mangrove forests in Magdalena Bay offer yet another diverse environment rich in wildlife and equally dramatic scenery. A BOA program is a catalyst for maximizing student learning and individual/team growth. The results: Life-changing. Students 'open up' to this dynamic form of learning. As they reach out for more and more information they also develop individual and team character. Our programs beckon the inquiring mind, spark the passion for knowledge and help form more capable, caring student citizens. Measuring up: On a personal level, students experience so many "firsts" - whether cooking on a camp stove, watching a whale breach or rolling a kayak - that they return literally 'fired-up' with excitement. The success is so tangible that you can see the positive results even after the first day. As students they live the excitement that comes from seeking, questioning and sharing knowledge. Our programs are arranged around hands-on, daily activities that help us track and guide each student's learning potential. As citizens, our travelers grow through the leadership and responsibility they take managing daily activities (always under guides' watchful eye!). When curricula call for it, activities with local community members, non-profits, and government agencies help them make real-life connections between their choices and the quality of the environment and society we share. The regular challenges that each group undertakes during its tour provides a natural opportunity for individual learning and personal development. A traveling group negotiates daily challenges that become the basis for building confidence and leadership and strengthening team dynamics. Most courses offer foundational skills in wilderness camping and expedition kayaking, while all programs are structured to develop personal and team skills. 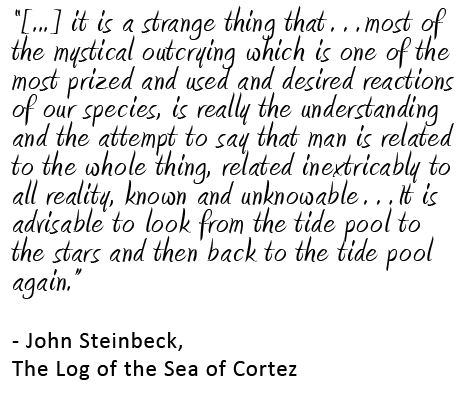 We draw on our founders and our guides' extensive experience in coaching and team development for youth, fellow outdoors people, and corporations. For example, many clients seek a program where students are alternately placed into a position of responsibility, whether it is organizing the menu plan, or directing the group for each day's kayak trip. Others seek more formal team-building, which can easily be integrated into an expedition and formally "taught". Over the years we have tried and tested many games and activities to sharpen communication, create a sense of belonging, and deepen a team's understanding and empathy for each other. Security: La Paz and Baja Sur are among the most secure places in Mexico. Further, since so much of our coursework takes place away from the cities, the chances of encountering a security risk go almost to zero. When we do see other people, we are well known and well received in the fishing and ranchero communities we visit; local people are almost always a trip highlight, in fact! Safety: We pride ourselves on the quality of our systems, our equipment, and our team. Our travel plans have been honed with 25 years of operation, and thousands of trips. 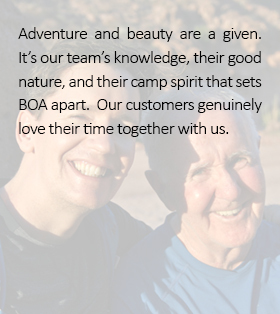 Their foundation is with the protocols learned by founder Ben Gillam as a coach in the British Canoe Union, and the incorporation of training and best practices from industry leaders such as NOLS, and years of on-the-ground learning in every circumstance imaginable. 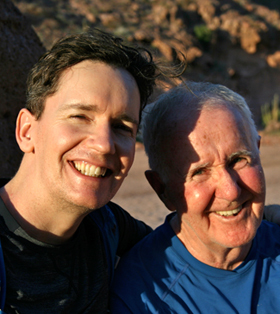 Our guides go through intensive training, in addition to the years of wilderness experience they bring on their own. They are all Wilderness EMT certified for medical emergencies, and are regularly tested and trained in advanced kayak skills, navigation and trip planning. 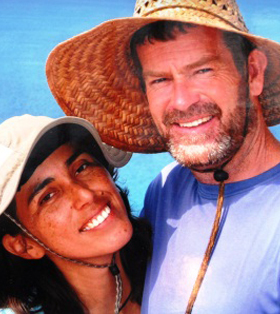 In fact, our guides are often the very people who teach and lead the entire guiding community of Baja. Finally, our business is fully insured and our Risk Management Procedures are continually reviewed to ensure your group's safety. We have procedures and connections in place for medical emergencies, from basic, to full MediVac. Weather: On rare occasion, Mother Nature can cause problems. We are continuously anticipating the weather, and when there is trouble, there is simply no substitute for the length of experience we have in the field. We count on a tried and true infrastructure for communicating with the field, and we continually anticipate weather and direct teams in the field. 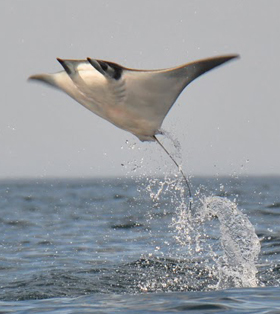 Our back up system is fool proof and is located right here in Baja. Most educational institutions request a one to three (1-3) week program, although extended courses are available. BOA seeks to develop long term partnerships with institutions, where educational objectives are honed and improved year after year. Course Content: We understand that every school has different objectives; thus, we spend weeks in the planning stage to develop a program that will suit your individual needs. Most schools and universities have general or specific objectives that they seek to boost by offering an adventure expedition. For some schools, we have also built strong programs from scratch. Either way, our partnership are based on listening to a school or educator's needs, and offering options of travel and activity that meet their needs. 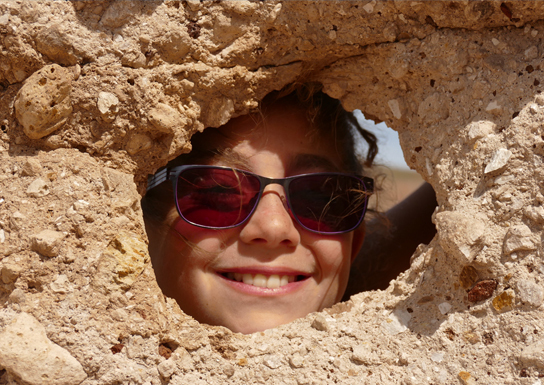 Structure: The "average" BOA school trip includes a balance between pure discovery and adventure, and semi-structured 'classroom time', often including some service or community-based activity. 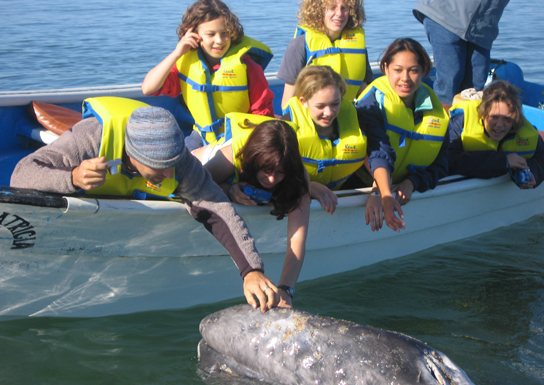 Most schools want to include the study of Baja's ecology, natural history or local culture through adventure programs. Typically, a visiting school sends 2 or 3 professors to facilitate the learning process and our naturalist guides assist with the stewardship of the trip, or take lead roles in the personal and team development aspects of the trip. Community and Service Projects: We often organize a community day or segment which focuses on science research or local community issues. These meaningful schemes are often performed in conjunction with a local science research or a civic center directly engaged in significant ways in the region. 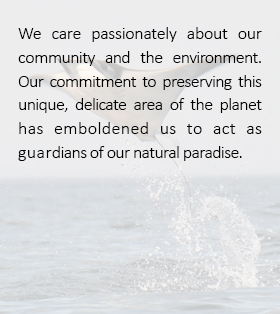 Our goal is to help students make the link between a special place like Baja Sur, and the citizen and societal commitment it takes to protect and grow it. 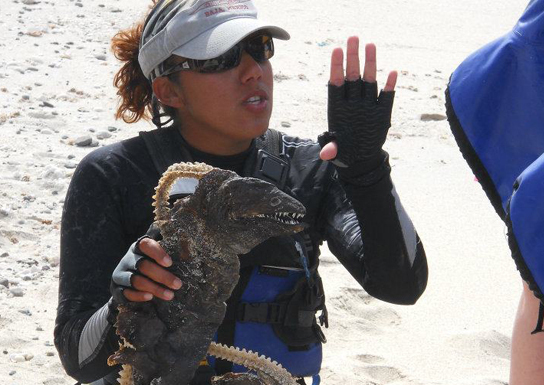 Measurable Learning: A Baja trip should be fun and adventurous while creating measurable results for educators. BOA can design approaches for doing this both in the field and back in the classroom. At the simplest level, guides can help traveling professors evaluate student learning on a daily basis. A more formal and tested approach has students journaling everyday and using the evening 'campfire' to share and discuss observations. In the same vein, some groups use a rotating 'talent night' when each student, or small group, makes a presentation of a given subject matter that they have researched before and during the trip. This can further be complemented by sub-groups making presentations to the preceding generation once they are back in the academic year. 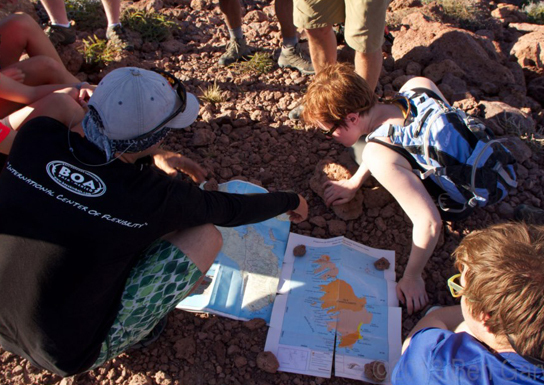 This way the process of learning and sharing becomes an integral part of sharing the 'Baja Experience' in the school. Guides: Many of our guides our professionals in marine biology or related fields, and all have an in-depth knowledge of the natural history of Baja. 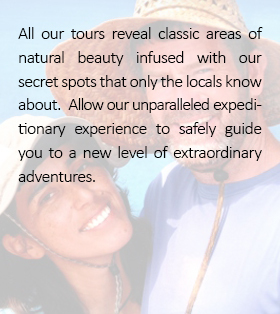 However, our priority is hosting your trip with extraordinary individuals that ignite the passion for learning. We often hear from individuals that are themselves educators or outdoor guides that they have never encountered such professional guiding! Accommodation: Economic hostel style accommodation is generally preferred (though options range from a La Paz camp ground to 5 star retreats) and this is generally included at the beginning and end of the trip and between activities on multi-sport programs. The rest of the time is spent sleeping on beaches and other wilderness camping conditions. Catering: Much of the success of any expedition relies on good wholesome food. We have several menus that consider the ferocious appetites of young people. Students tend to rave about our food, and we recognize the value of mealtime to building community and lasting memories. Transportation: We arrange private transfers between all activities using our own vehicles, motor boats or licensed operators. This expense is always covered in the program. Expedition Gear: We provide state of the art expedition sea-kayaks and gear that is maintained in top condition. Our expedition camping gear is rigorously maintained to outperform the challenges of harsh sunlight and salty conditions! We carry a large inventory of snorkeling gear and wet suits for even the biggest school groups, and additional equipment can be included at your request. References: The feedback on our courses has helped us define our role in providing these unique programs. If you would like to consult with other professors that have already brought a school group, we are happy to connect you. We want all visiting students to be empowered to explore the amazing beauty of Baja with wide-eyed wonderment and to reach out as informed and participative citizens. 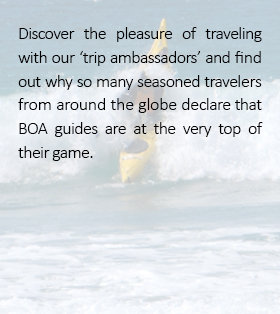 A school alliance with BOA means that we create the itinerary and content that best suits your institution's needs. The following descriptions provide a sample of the potential locations and destinations around which an educational program can be built. Espiritu Santo is right at the doorstep of La Paz, but also worlds away and the perfect place for a learning expedition. Located just 15 miles north of La Paz, the "Jewel of the Cortez" and UNESCO designated Biosphere Reserve is celebrated as Mexico's most popular sea-kayaking destination. Day 1: Arrive in Los Cabos (SJD) and travel to our base camp at a private eco-lodge in the foot hills of the Sierra de la Laguna where you will meet your BOA guides. Orientation followed by afternoon hike / activity. Dinner cooked by students. Camp. Day 2: Pack lunch and spend all day exploring the canyons. In the evening, you are rewarded with a revitalizing soak in natural hot springs at a private ranch. Camp. Day 3: Morning hike to a nearby waterfall. Lunch and transfer to La Paz to spend evening in local hostel. Here's an opportunity to explore this delightful sea side city - voted by Outside magazine as best weekend escape in March 2013. Day 4: Transfer to Espiritu Santo Island in BOA's high speed motor boat. 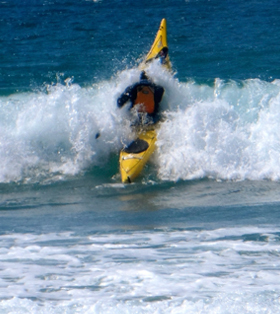 Orientation to the National Park and you receive an introduction to sea-kayaking. After lunch, embark on your first paddle trip beneath spectacular volcanic cliffs and arrive at the first of many beautiful beaches to set up camp. Day 5: Early morning hike to spectacular view point. Pack kayaks exploring a new section of coastline with small off shore islands where numerous sea birds nest. Stroll up canyon to a well for a refreshing rinse before dinner. Camp is set on a new beach. Day 6: Continue voyage to the end of the island paddling across to Isla Partida and arrive in the spectacular bay of Ensenada Grande. Then set base camp for two days on north end of the island. Day 7: This is our lay over day - time to relax those paddling muscles! Today we take a fast motor boat ride to a beautiful off-shore island which is home to a large sea lion colony. Experience the amazing thrill of swimming with sea lion pups and snorkel amongst thousands of tropical fish. Day 8: Continue around the north end of the island for our first paddle along the east coast. We will paddle through a narrow channel between Espiritu Santo and Isla Partida to discover an exquisite setting with high cliffs enclosing the bay and natural turquoise 'swimming pool.' Here we will make camp. Day 9: Rise early to a challenging paddle (4.5 hours). Kayak beneath towering cliffs rising up to a high point of 2000ft. There are also two natural caves which skillful navigators can paddle right through. In the afternoon, you arrive at our favorite camp spot ~ a magnificent 2 mile stretch of superb sweeping white sand. Last night camping. Day 10: Final morning sea-kayaking to complete our circumnavigation. Lunch and return to La Paz. Check in to your hotel. Time to shop for souvenirs before a farewell dinner together. Day 11: Breakfast and transfer back to Los Cabos airport. The southern tip of Baja California Sur, from La Paz to Todos Santos to Los Cabos and the Sierra de la Laguna canyons en route, offers a compact opportunity to cover a variety of contrasting ecosystems and communities, all within a dynamic, multi-sport week of adventure. This itinerary covers desert, mountain and sea, cities, to pueblos to ranchos, kayaking and snorkeling to hiking and soaking in hot springs, whale-shark conservation to mingling with sea-lions; opportunities to go light or go deep on issues such as geology or biology, history or anthropology, conservation and development, city and regional planning, and many others. We provide a general itinerary below that can be expanded or modified in a variety of ways, drawing on our experience in the area and the particular interests of our partner institution. Many educational groups, for example, choose to focus on a "sierras and sea" tour that reduces the number of transfers and goes deeper in both the Sierra de la Laguna, and Espiritu Santo. It depends on group size, age, and travel objectives. Day 1: Arrive in La Paz and transfer to your hostel. At 9:00pm meet your guides for a trip orientation and briefing. Day 2: Transfer to Espiritu Santo Island in our high speed motor boat and 'check- in' our base camp before heading up to Los Islotes to snorkel with sea lion pups. After lunch we explore the interior of the island and examine the unique features of the fauna and flora in this Mexican National Park and UNESCO heritage site. Day 3: After a hearty breakfast transfer to Balandra Bay and learn about the environmental protection order that has recently saved this stunning area from development. 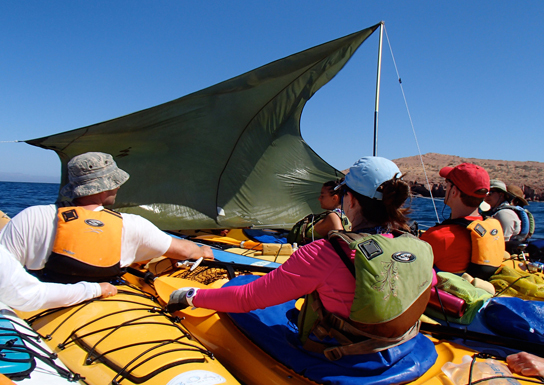 Sea-kayak into a prolific Mangrove Forest and learn about its vital role in Baja's ecology. Following a packed lunch on one of 7 spectacular beaches in Balandra Bay we will kayak south along the coast and set camp on a remote beach. Day 4: A quick breakfast and early morning kayak to Pichilingue. From here we will board our motor boat and explore the bay of La Paz in search of whale-sharks. Recommended option: get students involved with a conservation project connected with a local NGO to undertake data collection on the sharks. Besides the extraordinary thrill of swimming with these giants we get hands on involvement with vital research work. The results of the project help with local government policy on regulating permits and protecting the whale sharks that populate our local bay. After lunch we will journey over to the Pacific Coast to boogie board on one of the local surf beaches before making camp for the night (option to stay in local hostel). Day 5: This morning's hike is a spectacular trail along the high Pacific Coast cliffs. Discover the change in temperature and accompanying flora and learn about the important fishing industry on the Pacific side of Baja. Our hike will take us to a beautiful swimming beach where a picnic lunch awaits us. In the afternoon we travel on around the Cape by-passing the busy tourist towns before heading once more off the beaten path to spend the night at our wilderness eco-camp. Nestled next to a natural hot spring to relieve weary muscles from our energetic week of adventure. Day 6: We have four canyons to choose from, each with their own beauty and challenging terrain to negotiate. 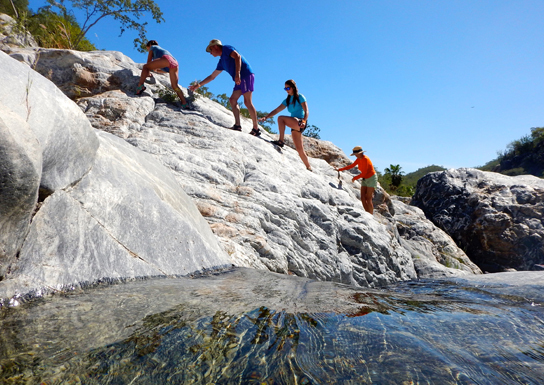 Large granite boulders, fresh mountain streams, large natural swimming holes and yet another unique Baja environment to explore. Return for final night's camping at our eco-camp. Day 7: Following breakfast we pack up and visit one last waterfall and swimming hole before our journey starts back towards La Paz. Stop at the small oasis village of San Bartolo for freshly made tamales and burritos before the final ride back to complete our Cape loop of Baja Sur. Check into La Paz hostel and farewell dinner at a local restaurant. Day 8: After breakfast transfer to LAP airport for flight home. NOTE: This same itinerary can be provided with option to fly in and out of Los Cabos airport (SJD).